Cape Cod National Seashore is a place of exquisite beauty, from the raw and natural to the rustic and hand-hewn, at once a destination and a muse for artists of all genres. 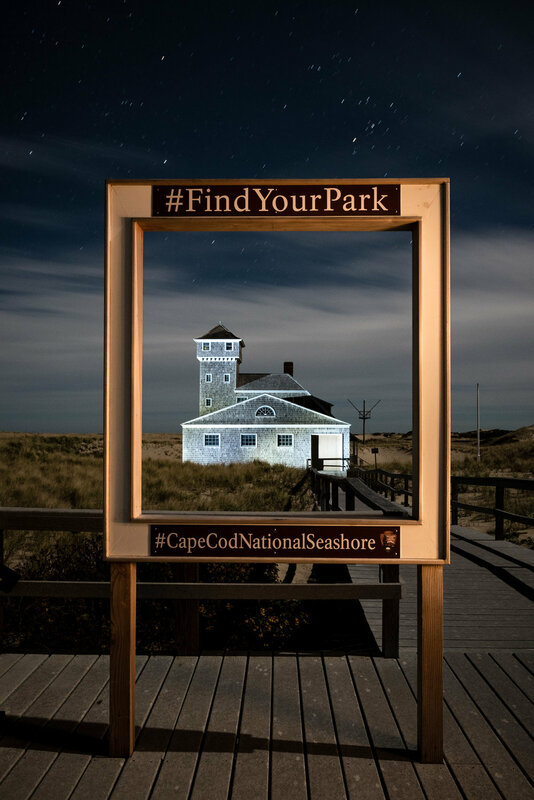 Photograph the open sand dunes, regal lighthouses, quaint cottages and quiet seaside villages of Cape Cod National Seashore, one of the natural gems of New England. This was a 3-night, 4-day workshop. Workshop began at 10 a.m. on May 21 and ended after a final slideshow on the afternoon of May 24. This workshop was sold out. Cape Cod National Seashore contains 40 miles of beaches and sand dunes, marshes, ponds, coastal forests and more. And the surrounding region has an aesthetic and a culture all its own, including boat yards, fishing villages and cultural landscapes. 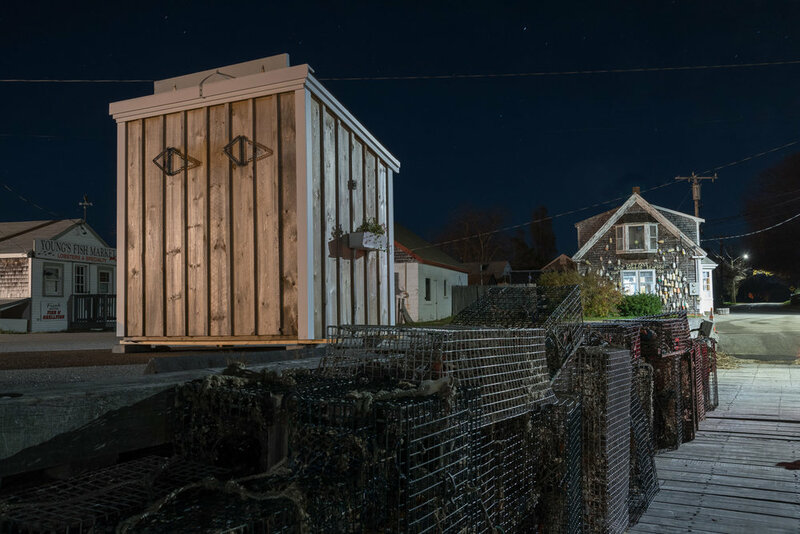 All of which make for excellent photography subjects, particularly under the amazing night skies of the Atlantic seaboard. Cape Cod is also home to more than 20 lighthouses, beacons of nautical navigation and safety that have stood sentry on these Massachusetts shores since as far back as 1797. 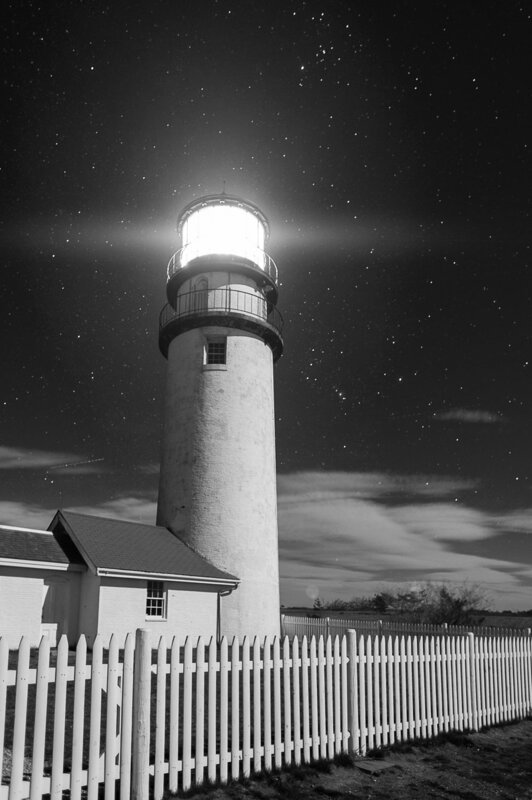 A portion of the workshop will entail photographing the lighthouses at night, working around some of the inherent challenges and detailing some exposure and post-production techniques that go a long way toward making lighthouse photographs that shine. For example, capturing and/or enhancing light rays, keeping the light from blowing out, composition and perspective, etc. We will also photograph out among the rolling dunes and along the long shores of the National Seashore, where waves crash after journeys from far across the Atlantic Ocean. The dunes are a great location for using light painting to emphasize the textures and patterns in the sand. This mid-spring workshop will be held during the prime of Milky Way season, and during the dark skies of the nights leading up to the new moon. One of our aims will be to photograph the galactic core as it soars high above the shores and dunes. We will work on techniques for scouting locations for Milky Way photos, for freezing star points, and post-production tips for creating a top-notch final photograph. 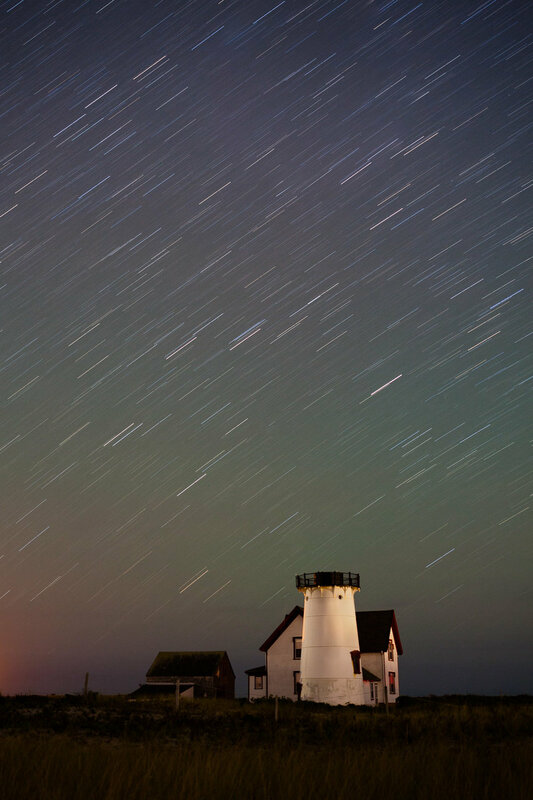 We will also learn techniques for creating star trails, and for light-painting the seaside landscape. And we will cover panoramic techniques for capturing the entire arch of the Milky Way over the surrounding seascape. In addition to the sand dunes, seashore and lighthouses, we may also visit and photograph locations such as working fishing-boat marinas, and coastal wetlands and forests. Mid-May is a great time to visit Cape Cod, as the weather is starting to get wonderful, but the summer crowds will not have yet arrived. The workshop will comprise three days of classroom instruction and three nights of photographing under the beautiful night skies of New England. The final morning will provide time for mentored post-production work, a final slide-show presentation of the attendees’ favorite photographs from the workshop, and an optional group lunch (not included in the workshop fee) before parting ways. Cape Cod is easy to get to, though it does require a bit of time in the car (unless you fly into a small airport on the Cape itself). If you are interested in carpooling or sharing a rental car, let us know and we will try to connect you with another student looking for the same. You are responsible for arranging and paying for your own transportation. Tip: Come a couple of days early or stay a couple of days late. This is really a wonderful area to explore and photograph. We are happy to give you some shooting options outside of what we will visit with the workshop group, either on Cape Cod (perhaps a whale watch cruise?) or the mainland (Boston, either historic sites or in the harbor). The workshop will be based at a hotel on the upper arm of Cape Cod, giving us easy access to points north and south. You are not required to stay at the official workshop hotel, though doing so does make it easier to meet with the group each morning. Hotel info and a booking code will be sent after registering. Varying food options are abundant, mostly at locally owned eateries, and as you might suspect, the seafood is excellent. We encourage eating two meals per day—a good breakfast and a great late lunch. When on the night shoots, you may wish to bring snack food or a sandwich and PLENTY OF WATER. There’s a saying in New England: “Don’t like the weather? Wait five minutes.” The fluctuations in conditions can be hard to predict. A rainy day can turn sunny in half an hour, a clear sky can cloud over just the same. You may be wearing a T-shirt at midday, and donning a sweatshirt, coat and wool cap for the night. In other words, come prepared. Historic average daily temperatures range from 48 to 62 F, and night temperatures can be from 10 to 15 degrees cooler than the day and slightly damp. Recommended attire: jeans or medium-weight pants, long-sleeve T-shirts, sweatshirts or sweaters for night use, and a medium-weight jacket. (Shorts are not likely to be needed.) Waterproof hiking shoes are a good idea, as we’ll be working on sand and around water. Also bring rain gear; again, it’s New England. Growing up in Connecticut, Cape Cod held a bit of aura for me. The dunes, the open ocean, the lighthouses, the fishing harbors—it's full of natural and man-made wonders. It’s New England coastline at its best. Particularly at Cape Cod National Seashore. When I was in my early 20s I would sometimes make daytrips there for the sole purpose of photography, traveling with my good friend J.P., a photographer and writer who is still based in southern New England. 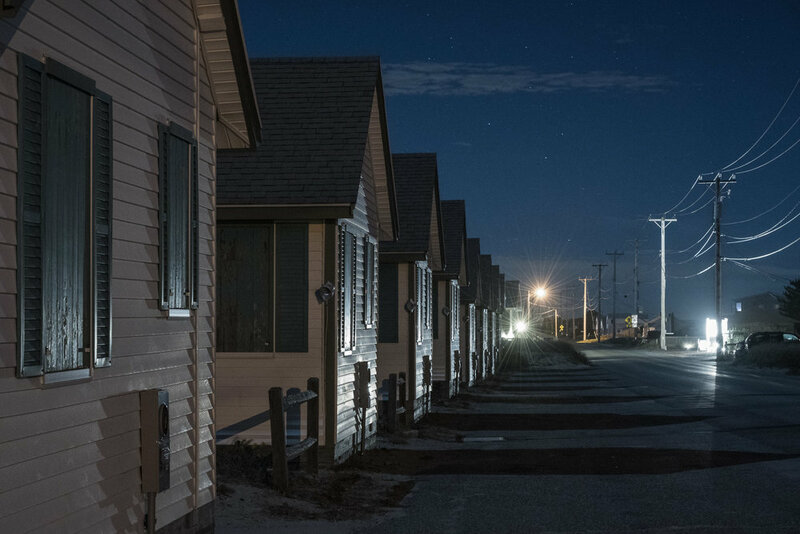 We would hit the road early in the morning—early enough to drive to the Cape in time to photograph in morning light. (It was a three-hour drive!) And we’d spend the whole day, right through sunset, shooting anything our car brought us to. Mostly lighthouses. We really liked lighthouses. But we also photographed the boats, and the waves, and the whales, and the weather. Weather is a great subject at Cape Cod, regardless of artistic genre. We loved working in the fog, and in winter too. In fact, we made a whole project of going to the Cape to photograph snow scenes; once we went two days in a row shooting in snow, rather than just staying overnight. We’d stay out at long as we could stand the cold—the frigidness amplified by the strong winter winds that surround and sweep and surge over the land from the water on three sides. We’d finally get too cold, find a hot coffee in a warm shop, then venture again into the brisk. Still, winter wasn’t the only time I liked working in the Cape. It’s one of those locations that’s great for photography any time of year. In fall, for the foliage and the cranberry bogs. In summer, for the boats and the characters who color P-Town. In spring, for the flowers and the Milky Way. 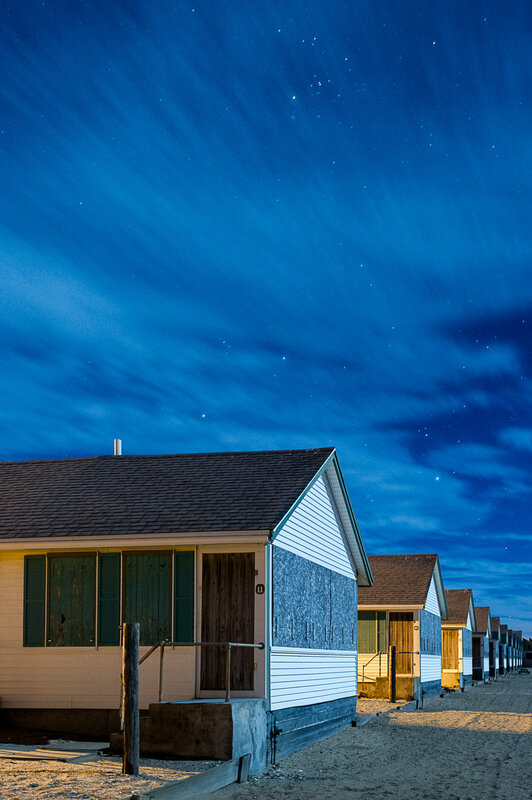 There’s always something great to photograph in Cape Cod.